My Web site zenhell.com has been around in various forms since 1994 (which is why I still write "Web site" rather than "website"). It is always a manifestation of my life and what I think are the most important ideas I can communicate at the time. It doesn't get much attention, and I don't change it often, but it's not a ghost ship either, even though the style of its Web pages seems stuck in 1994 . . . Here's the key idea that I want to communicate today: Most Americans are missing the movie that they're actually in. I guess it's just not mainstream enough for them, too intellectual, too deep, the plot a bit complex and difficult to follow. It took 13.7 billion years to get to this amazing climactic point in the movie--we can call it Humans on Earth--yet, incredibly, most American people are instead watching reruns of old, simpler movies even though they have leading roles in this ultra-high-budget spectacular that's currently playing! And the plot couldn't be more exciting! In the old silent movies, audiences thrilled at watching the villain tie the girl to the railroad tracks and listened anxiously for the sound of the hoofbeats of the Mountie coming to save her. Now we're the girl tied to the railroad tracks, but we don't even seem to notice. We can spend hours talking about sports or waiting in line at Disneyland without any sense of urgency or amazement. It's as if we have gotten up to buy popcorn during the most important and interesting part of the movie! For example, most people think of Fukushima as Japan's problem, and since they rarely hear about it anymore, it is out of sight and out of mind. Yet pay a tiny bit of attention to this subject--spend a half hour on line reading about it--and you realize that this is so obviously the greatest nuclear disaster to ever happen, and that it is the problem of the whole world, and therefore your problem. Imagine a healthy, successful, well dressed man, content and self-satisfied, but his right foot is rotting with gangrene and his toes are falling off inside his expensive shoe. Blood and puss are starting to ooze out of the shoe and the room is beginning to smell. Blood poisoning is causing a red streak to go up his leg. You are that man. Fukushima is part of your body. It is everybody's problem. It is huge, not something to be ignored! It's the "right foot" of the whole world! But even in Japan, the "right leg," if you will, it's being ignored, and people there are threatened with prison time if they reveal certain information about it, all so that a handful of fabulously rich people can become richer. I live in the San Francisco Bay Area of California. I have felt sorry for poor Japan and their infected foot. But after a bit of research, I learned how incredibly dangerous our own aging Diablo Canyon nuclear power plant is, about halfway between San Francisco and Los Angeles. Plagued by failures and failed inspections, its cooling pipes go right up to the ocean at sea level and would turn into twisted wreckage during an earthquake or tsunami. 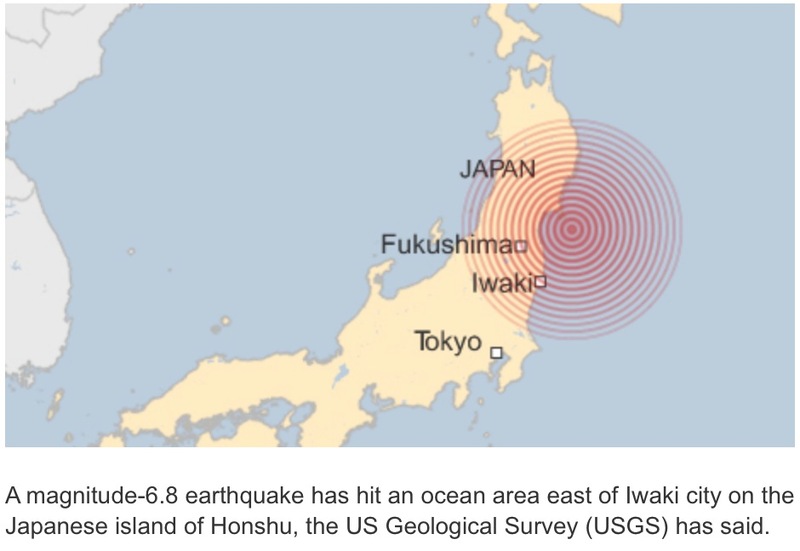 The Diablo Canyon plant is nearer to a major active earthquake fault than Fukushima is! Most of California could be destroyed by a nuclear disaster there, and prevailing winds would carry radioactivity across the whole nation. Our billionaire masters have incredible guts to gamble so with our safety just so PG&E can keep its desired profit margin. From an objective view, they are psychopaths. 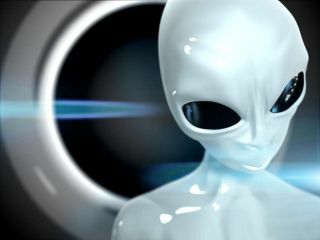 The thought experiment I want you to perform is this: About any societal or political issue, ask yourself what would an extraterrestrial sociologist report back to its home planet about it? What would this alien sociologist report about Diablo Canyon? Keep in mind that we live on a planet that is constantly deluged with free renewable energy from the sun, wind, tides, rivers, and geothermal sites! What kind of energy systems and healthcare programs could we have developed with the $3 trillion Bush1, son of oil millionaire Bush2, ponied up to invade, occupy, destroy, and permanently control oil-rich Iraq? Have you ever even heard of World Trade Center Building 7? Most Amerikans haven't! On 9/11, this 47-story building across the street from the Twin Towers fell down perfectly straight into its own footprint at free-fall speed, despite having 80 structural columns and localized fires on only three floors, the only skyscraper in history to ever fall from heat. Want to watch America become obese right before your eyes? Do you believe in the Holocaust, the Vietnam Holocaust? Look! Does Amerika show remorse or contrition? No! Instead, Amerika creates a new Vietnam War and new millions of dead people in the Middle East! "The greatest purveyor of violence in the world is my own government." The American healthcare system is barbaric. I will write some blog posts about it this year. And of course one of my biggest causes is to free people from primitive Iron Age religions. One of my very best essays is entitled, "Earth is Spherical and Religion is Over". Some of my very best essays are archived here on my old blog! And here (changed January 2019) is my new blog. The interface at Blogspot became impossible so I had to move it. Please click on the comments link at the bottom of each blog post you read and let me know what you think. You don't need to sign in to comment, and anonymous comments are welcome!